Kabras Sugar fullback Philip Wokorach will miss his team’s clash with Impala Saracens on the last day of the 2018/19 Kenya Cup season set for Impala Club on Sat April 4, 2019. Wokorach was on Friday named in the Uganda 12-man squad that will head to Hong Kong 7s for World Sevens Series qualifying tournament between April 4 and 7. The clash against Impala will be crucial on who finishes top between Kabras and KCB while the home side will be chasing a playoff spot. After Hong Kong 7s, Wokorach will have a one-week rest before resuming action with Nakuru 10s on Sat April 20 followed by the Kenya Cup playoffs. 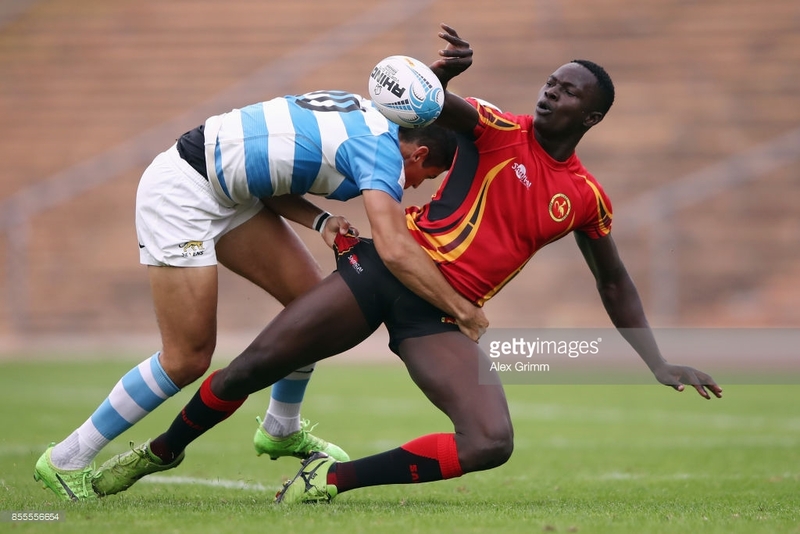 Others who make the Uganda 7s squad are Kenya Harlequin’s Aaron Ofoirwoth, Joseph Aredo, Michael Wokorach, Isaac Massa, Ian Munyani, Pius Ogena and Adrian Kasito among others. The pools for the HSBC World Rugby Sevens Series Qualifier in Hong Kong were released in April with Uganda finding themselves in pool G with last year finalists Germany, Chile and Cook Islands. The Winner will be promoted as a core team to the world series in 2020.